Jack Sullivan Jr., Executive Director of Murder Victims' Families for Reconciliation (MVFR)) will be the be the keynote Speaker at OADP Annual Meeting at The Madeleine Parish Hall in Portland on June 22nd. Jack Sullivan, Jr., is a native of Cleveland, OH. He is a racial justice activist, an ordained minister, and, of course, an advocate for the abolishment of the death penalty. December 16, 2015On December 16, DPIC released its annual report on the latest developments in capital punishment, "The Death Penalty in 2015: Year End Report." The death penalty declined by virtually every measure in 2015. 28 people were executed, the fewest since 1991. Death sentences dropped 33% from last year's historic low, with 49 people being sentenced to death this year. There have now been fewer death sentences imposed in the last decade than in the decade before the U.S. Supreme Court declared existing death penalty laws unconstitutional in 1972. Oregonians for Alternatives supports and applauds the announcement by California Taxpayers for Sentencing Reform that it is launch a signature campaign for a November 2016 ballot initiative to end the state’s dysfunctional and costly death penalty system. The coalition that includes conservatives, liberals, law enforcement, religious leaders, and victims’ families made the announcement on Dec. 14th. SACRAMENTO – Dec. 14, 2015 - Taxpayers for Sentencing Reform, a coalition that includes conservatives, liberals, law enforcement, religious leaders, and victims’ families, announced today that it is collecting signatures for a November 2016 ballot initiative to end the state’s dysfunctional and costly death penalty system. Press Release - Oregonians for Alternatives to the Death Penalty (OADP) has announced plans for their 2015 annual meeting, dinner and program. It will be held on Friday June 12th, at the Keizer Civic Center. While Governor Kitzhaber is still in office, until Wednesday, he has the power to commute death row sentences, changing them to life without parole. The power is found in the Oregon Constitution, Article V - Section 14. 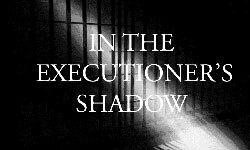 There is a high probability the one or more death row inmate could face executions in the near future if something is not done. (SALEM, Oregon) Death sentences in Oregon declined in 2014, with only one new death sentence this year. This single sentence represents a 42% decline over the last ten years. According to the 2014 Death Penalty report, issued today by the Death Penalty Information Center, in Washington DC, nationwide, there were 72 new death sentences in 2014, a 40-year low.